Congrats to Sleepless Clinic (http://www.sleeplessclinic.com/), developers of our October GameSalad Game of the Month, BRAIN IT! 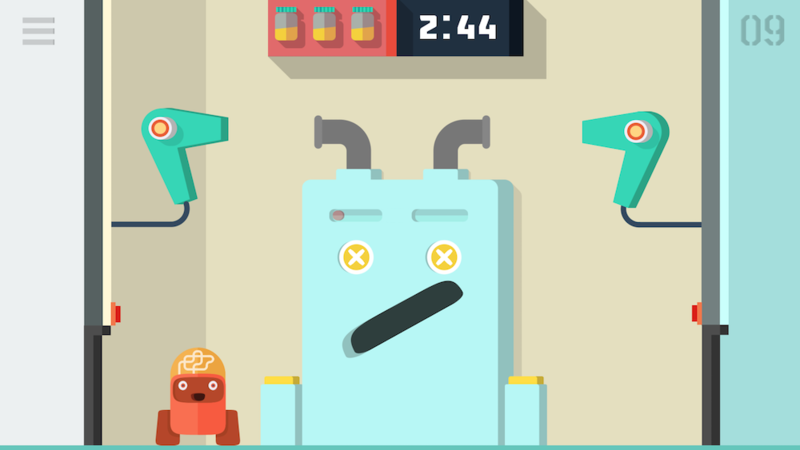 Brain it is a clever and unconventional mechanical based puzzle solving game. 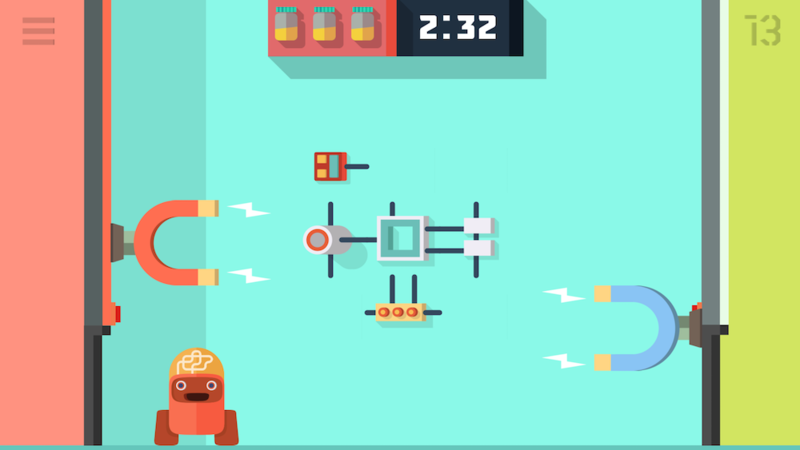 It’s charm is setup by its simple, yet elegant design and quirky unpredictable puzzles. GameSalad: Tell us a little bit about yourself and your company. Derek: My interest in games began when I was in High School and I had the ZX 81 with 1 kB of RAM. I had a special notebook with games that I had to copy when I wanted to play them. Then, Commodore 64 and Amiga500 appeared. And those were the most joyous moments… I used to spend a lot of time in front of the computer then. I would play and create my own demos. Then, after I graduated, I got interested in animation. I created cartoons for children and animations for various companies. Two years ago I got back to what gave me the most joy: game creation. And I am very happy about it. At present, our company consists of 5 people (although when we set up BRAIN IT, there were only two of us). Apart from me, in Sleepless Clinic there is Daniel, my partner, Jakub, who is in charge of graphic design, Karolina, who helps us with marketing, and Łukasz, who has been with us for a month now. GameSalad: It sounds like you’ve loved playing and making games for a long time! Is this your first full production? Derek: Yes, BRAIN IT is the first game we can boast about: one that can be downloaded and played. It is a game that has showed us what a huge amount of work you have to do to think up, create and issue a game. GameSalad: How did the idea for BRAIN IT Amazing Adventure originate? Derek: The idea originated as long as two years ago, at a Hackathon organized in our city, Bielsko-Biała. I went there with Daniel. I mentioned to him an idea that had been on my mind for quite some time already, and that’s how it all began. BRAIN IT won two prizes then: one for the best graphic design and one for the best game, and I cannot deny that it greatly influenced our subsequent decisions. We decided we would sacrifice one day a week to complete the game. And so, we started getting together on Mondays and working on BRAIN IT, so that it could see the light of the day. After a couple of months and after the official presentation of the game at Digital Dragons, we decided to go for broke, and that’s how our team originated. GameSalad: Why did you choose GameSalad? Derek: GameSalad is a great application for game creation, both for those who are only beginning their adventure with games, and for all those who are already creating them. In my opinion, the most important is an appropriate selection of applications for the final product. In our case, the choice was quick and simple: GameSalad. At the Hackathon I mentioned, we were the only ones to create a game that could be played: we had the menu and two functioning levels. And this is exactly the huge advantage of GameSalad: the speed and ease of creating games and prototypes. GameSalad: Tell us what the process of creating the game in your company looked like. As I have already mentioned, first I worked on BRAIN IT with Daniel, but then, two months before the planned release of the game, Jakub appeared in our company, and we decided to change the whole graphic design. It was a real challenge. When I look back on it now, I know it was a good move. We also added a short story about a brain-o-bot. GameSalad: Are you happy with the final product? Derek: Yes, very much, although we are aware that the game is a lot more difficult than we initially thought. 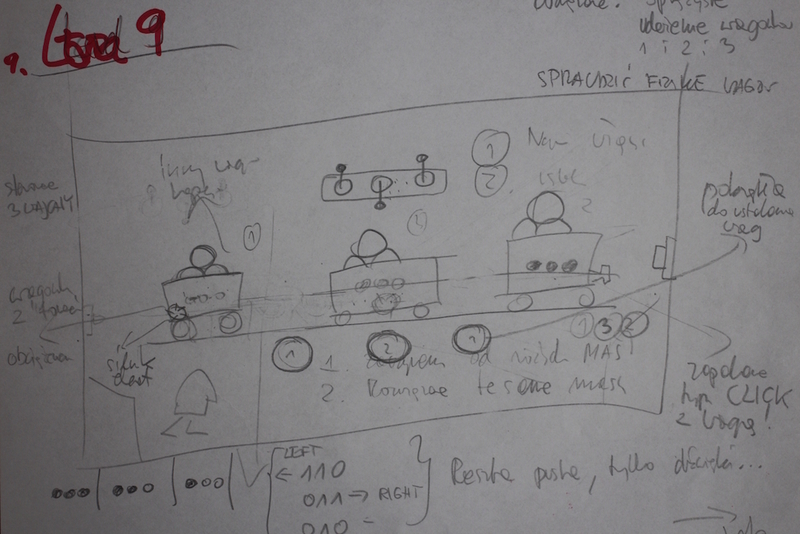 The graphic design attracts children, but – as you know, since you had a chance to test our game – it is very complicated. Now we are thinking about a major upgrade and about readjusting a couple of things. But, of course, we are very happy that the game was created and issued, because it was not at all simple and easy. GameSalad: Would you like to give any tips to people who create games in GameSalad? Derek: Well, I think Daniel would have more to say on that, as it is his claim to fame that the game was written in GameSalad. I can tell you one thing: just believe that you can do it! You don’t need to use very complex programs to create a good game. GameSalad: Do you have any other passions? Derek: Oh, yes. 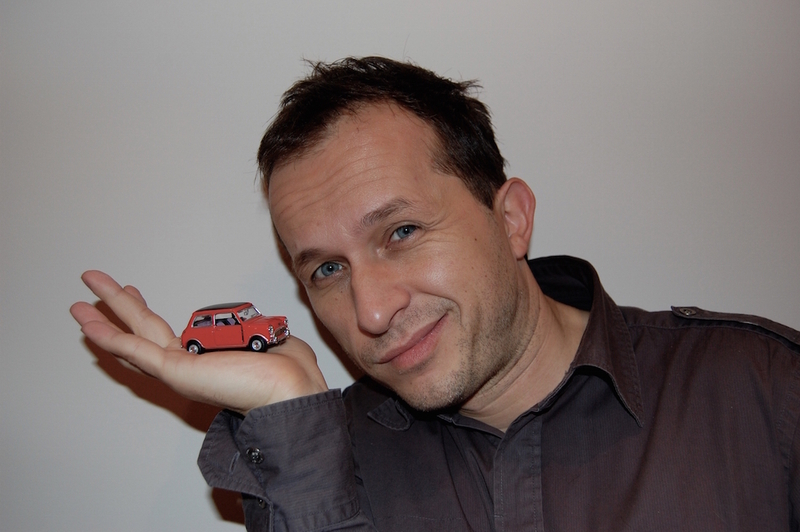 I’m also a fan of classic cars, and Mini in particular. I have two classic Coopers, and I drive one of them every day – to the delight of my son Nikodem. The other one is prepared for racing fun. GameSalad: Let my last question be one about your plans for the future. Are you maybe working on a new game already? Derek: Yes. At the moment we are working on two new games: SYMMETRY (http://www.symmetry-game.com/) and One Finger Olimpic. Please follow our fanpages, where you will be regularly updated on our progress. GameSalad: Thank you very much for the interview. Good luck, we’re all looking forward to your next games! If you love puzzles, then BRAIN IT is the game for you! 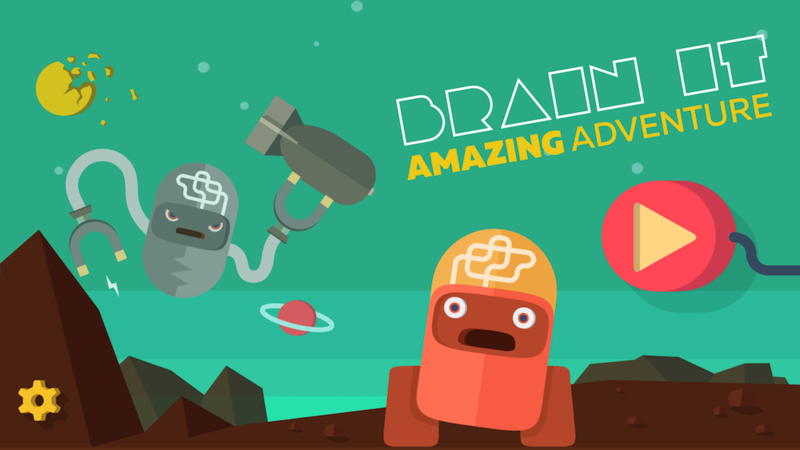 It’s currently available for $0.99 on iTunes (https://itunes.apple.com/us/app/brain-it-amazing-adventure/id1016937154?mt=8) and Google Play (https://play.google.com/store/apps/details?id=com.sleeplessclinic.brainit), so go get it! If you need more convincing, check out the trailer (https://www.youtube.com/watch?v=-sRxF7wDvuQ)!